Couples therapy is different from individual therapy. It’s two people in therapy instead of one. The focus is on both people and especially their relationship. The therapist has to be even-handed so that each individual feels equally understood and appreciated by the therapist. Furthermore, the therapist must maintain clarity about two relationships: the one the couple has now with each other and the new relationship that needs to replace it. This is especially true when there has been infidelity. In that case, all the couple can see is the broken relationship they have now. But the therapist, must know deep down that this relationship can be reinvented to become something completely new. Couples often wait too long before they seek therapy for their relationship. By the time they find me and take the steps to get started, they are beyond unhappy with their relationship. Sometimes, there is scarcely a detectable beam of hope for one or both partners. But wait! I have a positive perspective on this problem. I do my best work with my clients who are motivated for change. Such motivation doesn’t have to be pure. 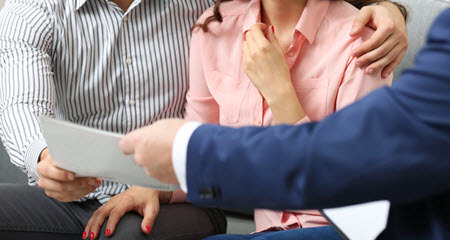 Often it’s simply, “I can’t stand this anymore.” Once they meet with me and see that there really is a trail that others have blazed before them, they decide to delay calling an attorney and give couples therapy a try. Sometimes, it’s these very couples who are most primed for a big breakthrough. Why? How is it possible that a couple frustrated beyond measure is ready for a big breakthrough? But relationship misery does not always end well. A man or a woman starts having escape fantasies and their motivation plummets. It’s a delicate time. It’s not a time to wing it on your own. Some couples will tell me, “We’ve tried everything…” But that often means that they are discouraged about all the effort that hasn’t yielded any lasting benefit. Your motivation and your partner’s motivation can spike upward when the curtain is pulled back showing new possibilities. Nevertheless, there is a treasure inside each of you that must be protected. The treasure you must protect at all costs is your motivation to give effort to improving the relationship. Seeing a positive option that you couldn’t see before can fan into flame enough desire to try again. And that’s what you need to get started. If you hesitate too long, the motivation dwindles to such a degree that you don’t even want to save your marriage even if a professional showed you how it would be possible. So, if you are reading this, and feeling unhappy in your relationship, you would be wise to call me today. 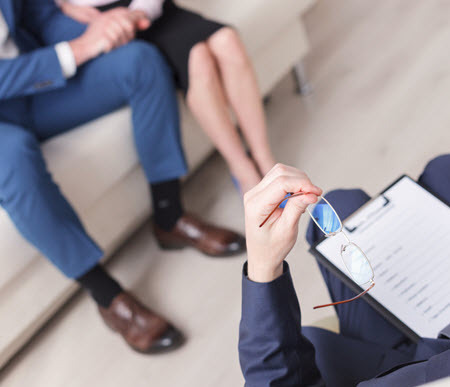 Let me guide you through the couples assessment process so that you and your partner can get on the same page about both the problems and the possibilities.Then, and only then, revisit your decision about whether you need couples therapy. My approach blends together two leading research-based methods. So when a couple starts therapy, they don’t usually have an unlimited supply of motivation and effort to work for change. If you go through marriage counseling and it doesn’t work, then you may have used up all of your “umph” to give change another solid attempt. Most couples on their own cannot make the crucial distinction between what matters right now and what doesn’t. Why? The conflict, anger, and emotional distance are blinding them. It’s not about being weak. It’s like trying to cut your own hair. You just don’t have a way to get perspective on your blind spots the way a third party would. Ever tried to cut the hair on the back of your head? How did that go? Get a professional who can see what you cannot see. If you are in that delicate phase where motivation is draining away, it’s not the time to guess at how to fix your marriage. 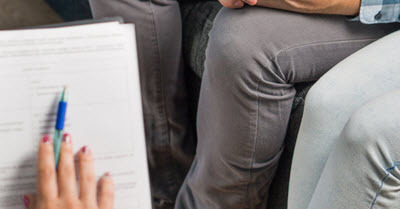 One of the most important keys to effective marriage counseling or couples therapy is to use a method that has been wrung out by scientific research.The stakes are too high and your motivation is so delicate that you don’t want to spend time and money on therapy issues that don’t really matter in the long run. For the last 40 years there has been an explosion of scientific research about what makes marriages work, what makes couples stay together, and what tears couples apart. When you go to a therapist that is trained in the research, you can be much more confident about spending your time and money on things that really make a difference. Call me today to see if I am that therapist for you. Hundreds and hundreds of couples have been studied to determine which issues are deal-breakers and which ones just “feel” like deal-breakers. Hundreds more have been studied scientifically to see which specific interventions work the best to repair the relationship. Why would any couple or therapist want to ignore this research and just fly by the seat of their pants? 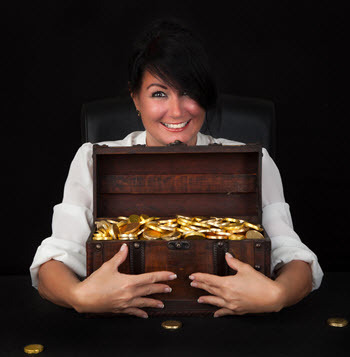 The treasure of your effort and motivation is just too precious to ignore the research. There are two leading research-based approaches. The Gottman method is based on the extensive research of John Gottman at the University of Washington over four decades. John Gottman’s research brings into focus four characteristics of couples communication that are so toxic to relationships that they predict the downfall of a relationship with a high degree of probability. He calls them the “Four Horsemen of the Apocalypse” using a metaphor from the Book of Revelation where the four horsemen predict the final end. 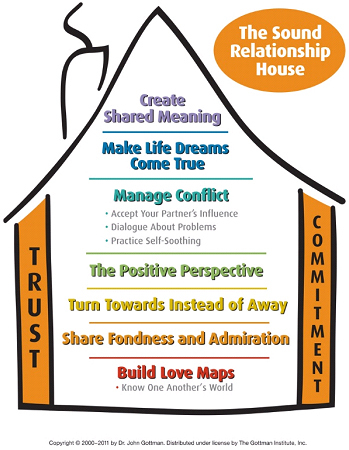 Let’s look more closely at the 9 components of the Sound Relationship House depicted above. The concept of love maps addresses how well you know your partner’s inner world, his or her past, worries, stresses, preferences, and aspirations. This seems straightforward, but in my experience couples have a real learning curve to recognize when their partner is making an attempt for real connection. For example, some people make negative remarks in a clumsy attempt to turn toward their partner. They are reaching out, but their delivery casts a dark shadow. When the partner pulls away, the one initiating the connection feels rejected. When couples find their footing on this floor of the house, they feel closer and experience emotional intimacy. I like to call this floor the “the Dance Floor” because this where the small interactions of your relationship add up to the dance of your relationship. This floor represents the overall feel of the relationship. Many couples find themselves boarded off from this floor, being stuck in a negative outlook. If you don’t have this floor washed and shined, it makes everything else in the relationship feel burdensome. For example, it’s nearly impossible to restore sexual intimacy without making some progress toward remodeling this floor. Conflict is normal in a relationship, if it is handled well. One of the distinguishing features of the Gottman method is that it identifies two different types of conflict. Each type requires a couple to take a very specific approach.Do you really want to leave that to chance? This is a floor that many couples never discover unless they use the Gottman method in couples therapy. If affects emotional intimacy because it has to do with each partner understanding their deepest aspirations in life AND feeling that the partner is supportive of these. Couples need their own rituals to help grow their relationship.The way I do couples therapy, using the Gottman method, helps couples see the power of symbols. They learn to harness this power to reinvent their marriage. This supporting wall in a relationship is strong when each person knows that his or her partner is highly considerate of the other person’s best interests. It means, “my partner has my back and is there for me.” In my own thinking, I see this as an important aspect of love. Without this wall being a strong, supporting wall, the relationship is wobbly. Commitment as a load-bearing wall refers to the sense that the couple knows that that each of them are “all in.” They are not fantasizing or planning to leave the relationship. I have completed all three levels of training in the Gottman method. You see my profile in the Gottman Referral Network here. The second research-based approach is called “Emotion-focused Therapy” (EFT). It was developed using the research of Sue Johnson. Her research centers on the emotional attachment that exists between two people, whether or not they are aware of it. Once I received formal training in her method, I saw how the research of Sue Johnson is complementary to Gottman’s research. 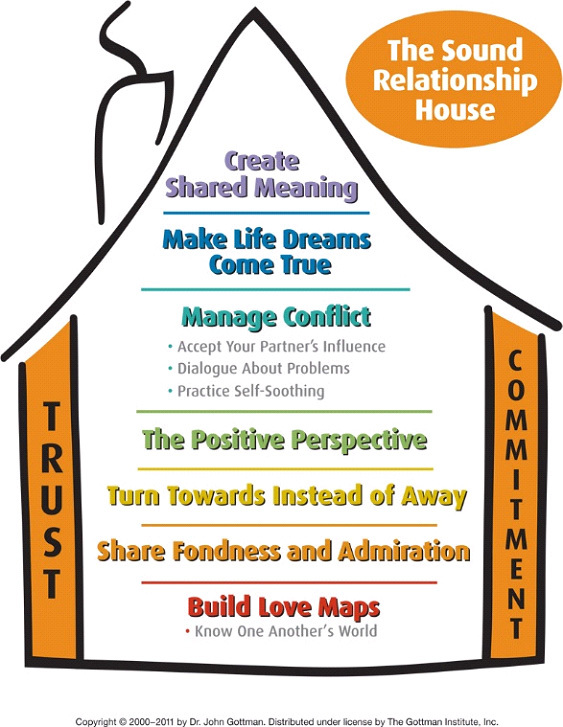 In my opinion, her research takes Gottman’s Sound Relationship House and makes it a home. She focuses on the dance, or inner dynamics, of a relationship. Because I incorporate this approach into my work with couples, they can start hearing music on the Dance Floor (e.g., Gottman’s 3rd floor) of their relationship. Once a couple hears the music of their emotional connection, it’s much easier to change the dance steps in their relationship. I combine the best of both these research-based methods with my own years of experience working with couples. If you have concern about your relationship, it’s time to call me and schedule a free 20-minute consultation over the phone.